Spooky season has commenced and the Halloween holiday is just around the bend. Your restaurant can utilize the festivities of October 31st to do some effective marketing. We highlight the Halloween restaurant marketing ideas that will have guests in for a treat. Just how popular is Halloween? Well, in 2018 it’s projected that 175 million Americans will be celebrating! A total of 9 billion dollars is projected to be spent on the holiday alone this year. Who doesn’t love to dress up and take on a new persona for Halloween? Sure, wearing a costume isn’t for everyone, but many people will be willing to participate, especially if there is an incentive. Run a costume contest at your restaurant either the weekend before Halloween or the day of. You can even keep the party going all week long and have a different theme each day. Each day of the week can offer prizes for a new category, like scariest costume or most creative group idea. Allow all participants to vote on the best costume, tally the votes, and treat the winner of each category to a free meal on the house. Or, let everyone win by offering a discount or free menu item to anyone who comes with a costume. Take photos of participants to post on your social pages so all of your followers can tune into the fun. Quick Tip: You should start marketing your contest in email, on your social accounts, and on your SinglePage announcement now so customers can brainstorm ideas and put together a winning costume. Channel your inner ghoul or goblin and come up with an inventive Halloween exclusive menu that’s only available surrounding the holiday. You can incorporate autumn flavors, like maple, pumpkin, and cinnamon to create irresistible menu items for humans and zombies alike. Get creative with the names and descriptions, riffing on popular Halloween-related characters like Dracula, The Mummy, and The Addams Family (to name a few) to make it more fun. Stir up some tasty elixirs, both alcoholic and non, to delight guests on the chilly autumn night. 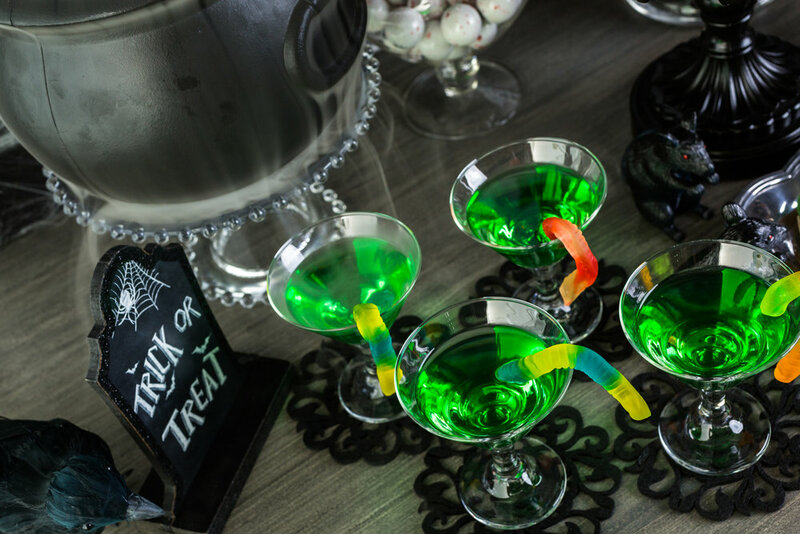 Witches’ brew, zombie potion, and Dark n’ Stormy cocktails will get diners in the spirit of spook. Take the presentation to the next level by serving the drinks in cauldrons or with dry ice. Offering bar snacks? Make those festive too. Throw some candy corn into your Chex Mix or popcorn and add pieces of chocolate to your nut assortment. Because Halloween is mostly about the candy, right? Quick Tip: Make sure to post your All Hallow’s Eve menu online early so hungry diners can make plans to visit your restaurant for the holiday. Although trick-or-treating is meant for kids, both youngsters and adults should be able to participate at your restaurant if they wish. 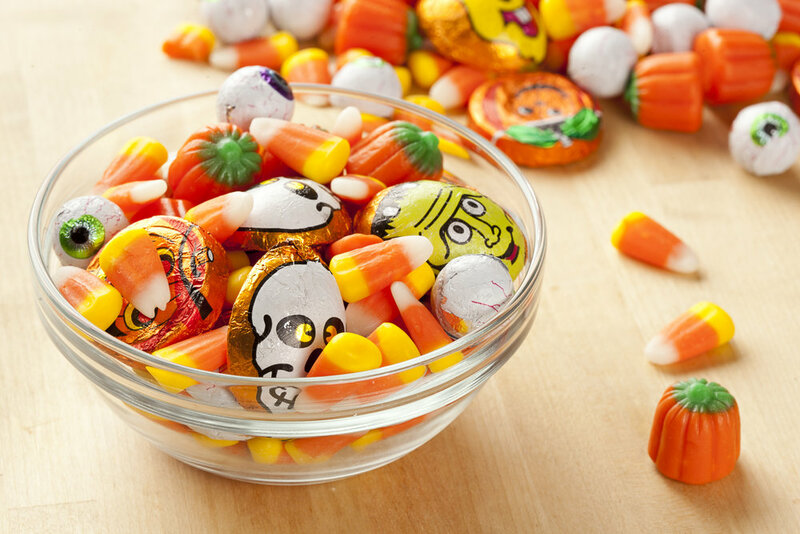 Offer up some candy treats or goodie bags to all of your ghoulish guests on Halloween night. If families know you’re hosting this type of event, they will be inspired to dine with you prior to their door-to-door candy-scoring journey. You can start their quest for candy on the right foot by getting in on the fun. To make things more interesting, include some restaurant gift cards in random bags and let customers know they have a chance of winning a special prize. Ask parents for permission to take photos for your social accounts and post them throughout the night on your Instagram story. Quick Tip: Send out a reminder about your trick-or-treat event on social media and post about it on your website prior to Halloween. There’s no better time of year to host a murder mystery dinner at your restaurant. There are companies that specialize in providing all the props, characters, and storylines needed so you can focus on the food. Ask guests to buy tickets in advance and come prepared for a challenging and suspenseful night. Depending on the company you hire, you can choose from different themes, whether you want to host a roaring 1920s event or a creepy mystery from the 1980s. Encourage participants to come in a costume that reflects the theme to make it more genuine. And let the games begin! Quick Tip: Do some research to see how much hiring a murder mystery company will cost you so you can properly price the tickets for the event. Then, market it to your customers! Your involvement in Halloween-related revelry doesn’t just have to take place inside your restaurant. Find out about Halloween events happening in your town and see if you can get involved. The local school or rec center might host a scary movie night; find out if there’s opportunity for you to provide the snacks. Haunted trail rides are another popular activity at this time of year. Host a pop-up stand where people can find refreshments like apple cider and dessert. 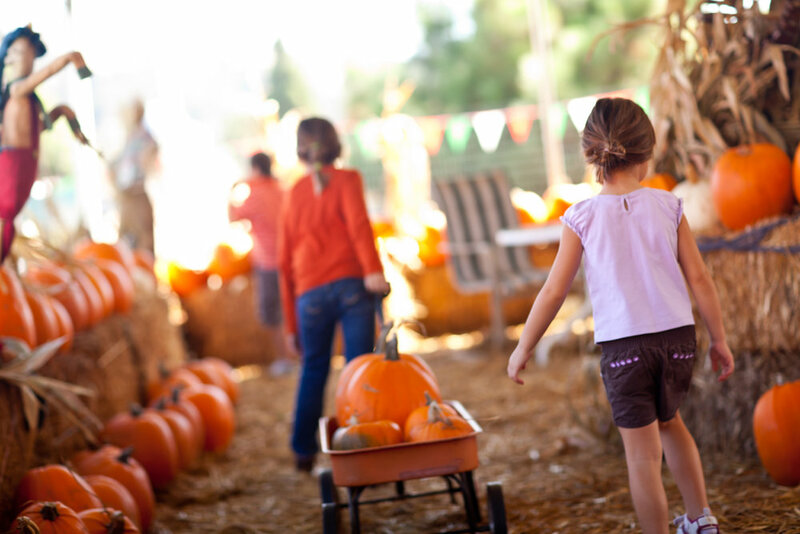 Pumpkin picking, Jack-O-Lantern walks, and haunted houses are also common Halloween happenings. If you become a sponsor, you can hand out branded swag items for guests to take home. They’ll remember you next time they’re looking for a place to eat. Even if you don’t participate in the event, you can sell tickets for the events at your restaurant to lend a helping hand to local efforts. Becoming a participant in your local community will go a long way for your business. Arguably the easiest of all these Halloween restaurant marketing ideas, a little decoration goes a long way. 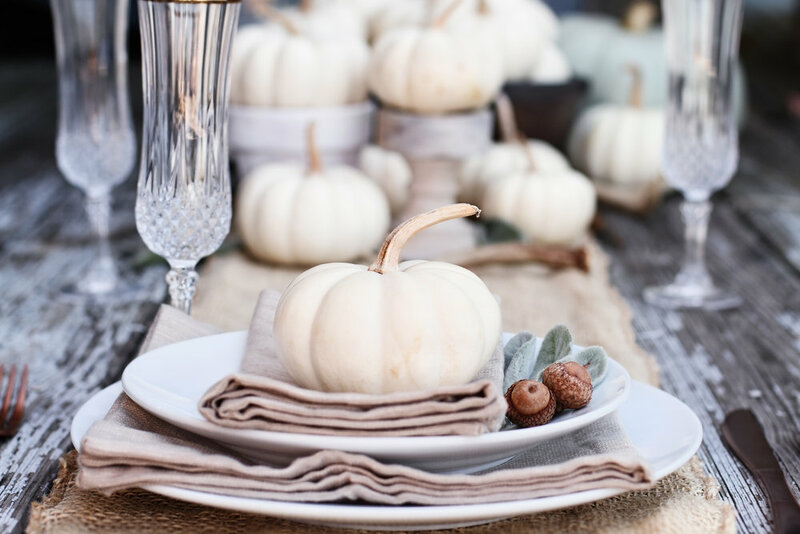 Incorporate pumpkins or Jack-O-Lanterns, faux leaves, and other spooky elements can help set the tone for the holiday. You can find inexpensive decor online and in local craft stores. Use it and reuse it by storing it with the rest of your seasonal decorations. Ghosts, and monsters, and vampires, oh my! 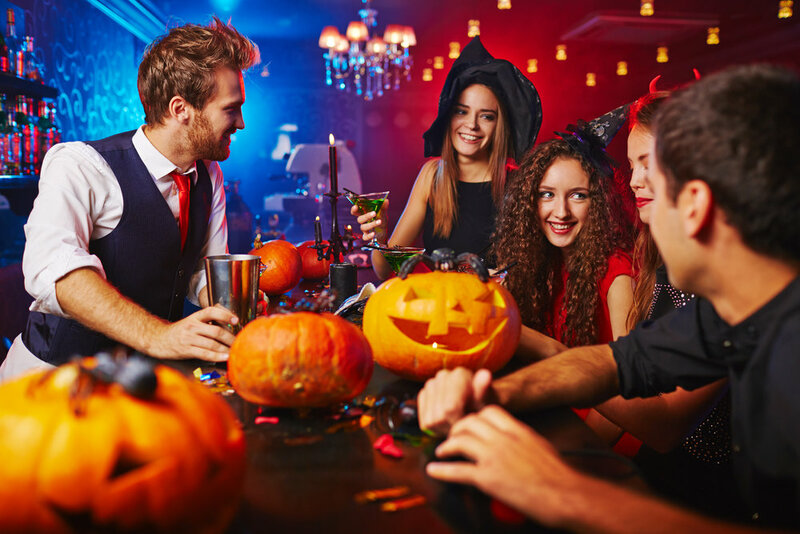 Halloween is approaching quickly, and similar to many other holidays, is the perfect reason to come up with some new restaurant marketing ideas. Whether you choose to host an event in your restaurant, get involved in your community, or just inspire some fright through your menu, there are plenty of ways to celebrate Halloween this October 31st. For more restaurant marketing ideas, check out the homepage of our blog.